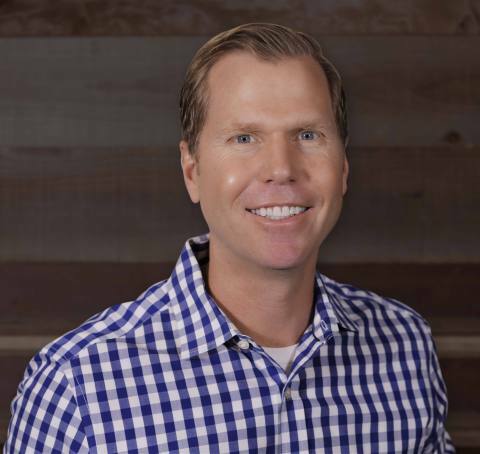 NEW YORK--(BUSINESS WIRE)--Take-Two Interactive Software, Inc. (NASDAQ:TTWO) and its wholly-owned label, 2K, today announced that video game industry veteran Michael Condrey has joined the Company as President of the label’s new game development studio based in Silicon Valley. Best known for co-founding Sledgehammer Games and leading development for the renowned Call of Duty franchise, as well as his roles as Chief Operating Officer and Director at Visceral Games in establishing the popular Dead Space franchise, Condrey will build and lead a new development team to work on an unannounced project. Condrey brings more than 20 years of creative, production and development leadership experience to 2K. His industry acumen played an integral role in bolstering one of interactive entertainment’s most distinguished franchises of all time – Call of Duty – including the development of the award-winning, first-person shooter titles Call of Duty: WWII (2017), Call of Duty: Advanced Warfare (2014) and Call of Duty: Modern Warfare 3 (2011). Condrey also led creation of the third-person, survival-horror shooter Dead Space (2008), which earned Action Game of the Year honors at the Academy of Interactive Arts & Sciences’ Interactive Achievement Awards, as well as guided the James Bond 007 franchise to critical and commercial success. 2K’s new Silicon Valley studio – with an official name to be announced – will join the Company’s family of wholly owned development teams, including Visual Concepts, Firaxis Games, Hangar 13 and Cat Daddy Games. Condrey and his future team will have the creative freedom to develop the studio’s vision and long-term projects while having access to a global network of proven industry leaders and resources across 2K’s studios. Those interested in pursuing career opportunities can visit the studio website or 2K Careers for more information. 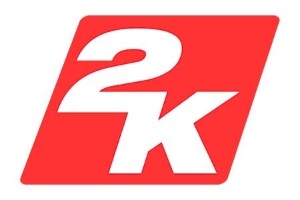 For more information on 2K, visit www.2k.com, become a fan on Facebook, follow the Company on Twitter or Instagram or subscribe on YouTube. Headquartered in New York City, Take-Two Interactive Software, Inc. is a leading developer, publisher and marketer of interactive entertainment for consumers around the globe. The Company develops and publishes products principally through its wholly-owned labels Rockstar Games and 2K, as well as its Private Division label and Social Point, a leading developer of mobile games. Our products are designed for console systems and personal computers, including smartphones and tablets, and are delivered through physical retail, digital download, online platforms and cloud streaming services. The Company’s common stock is publicly traded on NASDAQ under the symbol TTWO. For more corporate and product information please visit our website at http://www.take2games.com. Founded in 2005, 2K develops and publishes interactive entertainment globally for console systems, handheld gaming systems and personal computers, including smartphones and tablets, which are delivered through physical retail, digital download, online platforms and cloud streaming services. 2K publishes titles in today’s most popular gaming genres, including shooters, action, role-playing, strategy, sports, casual, and family entertainment. The 2K label has some of the most talented development studios in the world today, including Visual Concepts, Firaxis Games, Hangar 13, Cat Daddy Games and newly formed, to-be-named studio in Silicon Valley. 2K’s stable of high quality titles includes the critically acclaimed BioShock®, Borderlands™, Mafia and XCOM® franchises; the beloved Sid Meier’s Civilization series; Evolve™ and Battleborn®; the popular WWE® 2K franchise and NBA® 2K, the highest rated* annual sports title of this console generation. The statements contained herein which are not historical facts are considered forward-looking statements under federal securities laws and may be identified by words such as "anticipates," "believes," "estimates," "expects," "intends," "plans," "potential," "predicts," "projects," "seeks," “should,” "will," or words of similar meaning and include, but are not limited to, statements regarding the outlook for the Company's future business and financial performance. Such forward-looking statements are based on the current beliefs of our management as well as assumptions made by and information currently available to them, which are subject to inherent uncertainties, risks and changes in circumstances that are difficult to predict. Actual outcomes and results may vary materially from these forward-looking statements based on a variety of risks and uncertainties including: our dependence on key management and product development personnel, our dependence on our Grand Theft Auto products and our ability to develop other hit titles, the timely release and significant market acceptance of our games, the ability to maintain acceptable pricing levels on our games, and risks associated with international operations. Other important factors and information are contained in the Company's most recent Annual Report on Form 10-K, including the risks summarized in the section entitled "Risk Factors," the Company’s most recent Quarterly Report on Form 10-Q, and the Company's other periodic filings with the SEC, which can be accessed at www.take2games.com. All forward-looking statements are qualified by these cautionary statements and apply only as of the date they are made. The Company undertakes no obligation to update any forward-looking statement, whether as a result of new information, future events or otherwise.